Eco-shout is a catalyst to action for everyone who wants to change the world. Whether you're one person looking for information, inspiration and resources or a group looking to promote your campaign and grow support, there are heaps of ways you can use Eco-shout to get active. 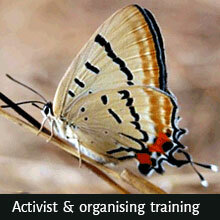 Check out the organisations that offer campaign training and short courses, workshops and certificates in wildlife care, permaculture, organic gardening and other things that are good for people and the planet. The best way to get a job in an environmental or social justice organisation - and to find out what you really love - is by volunteering. Check out different organisations that support people getting into volunteering here and overseas, look for interning and volunteering opportunities to apply for right now, and jobs that are good for people and the planet. Find an active environmental or social justice group - there's over one hundred in our directory, grouped together by area of focus (like forests, climate, human rights etc). 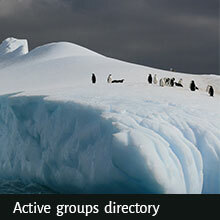 You can also search by state, but most of our groups are in Victoria. Find out which group is doing your kind of thing and how to get involved. Explore the places around Melbourne that offer resources and facilities to groups and people working for change. These hubs and hot spots are great places to connect with active people, get inspired and become involved in campaigns for environmental and social justice. 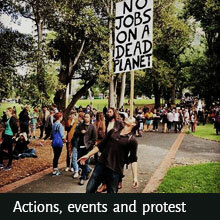 Find out about protests, benefit gigs, environmental and social justice films, art, courses and workshops; basically all the good stuff happening around Australia. The Eco-shout sharehousing network has helped hundreds of tree huggers, veggie lovers, vegans, tv haters, anti-plastic fanatics and full on bike geeks who would otherwise be scorned and lonely find similarly awesome people to live with. 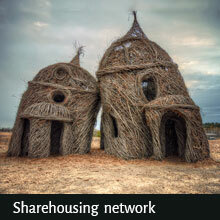 Now you can post photos of yourself or your house along with your sharehousing notice to find your dream home. Launchpad is the place to look to launch your world changing project or idea. Here you'll find grants, competitions, awards and other opportunities offering funding, publicity, networking opportunities or mentoring for you or your group. Don't forget to sign up to our e-bulletin (it's there on the left) to get all the latest grassroots news, opportunities and events delivered straight to your inbox. And we know it sounds naff but don't forget to like us on Facebook and invite your friends to like us too. You'll be helping to grow the grassroots environment and social justice movement and building a strong network so that small groups can have a big voice. Use the Eco-shout website to promote your campaigns and events and find passionate people to join, volunteer and work for your organisation. Promote your events - post your event to our national grassroots events calendar (free). Find volunteers and interns - post an ad on our volunteer vacancies page ($10). Find passionate employees - post an ad on our jobs page ($10). Promote submissions for your grant, award, competition or social change initiative - post a notice on our launchpad page (free). 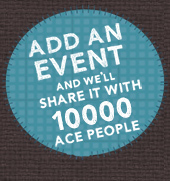 Put your group, event or campaign in the spotlight with a graphic promotion on any page of Eco-shout. Imagine if every environment and social justice group told all their members about Eco-shout; each group could then promote their activities and events to all of those people, with no costs involved. If you're a small group with a small number of members, you'll benefit from Eco-shout straight away by sharing in a bigger audience. If you're a more established group, please support your roots by sharing your audience, benefit from ours as we grow, and help grow the environment and social justice movement the only way we can, from the ground up. So how do we do it?